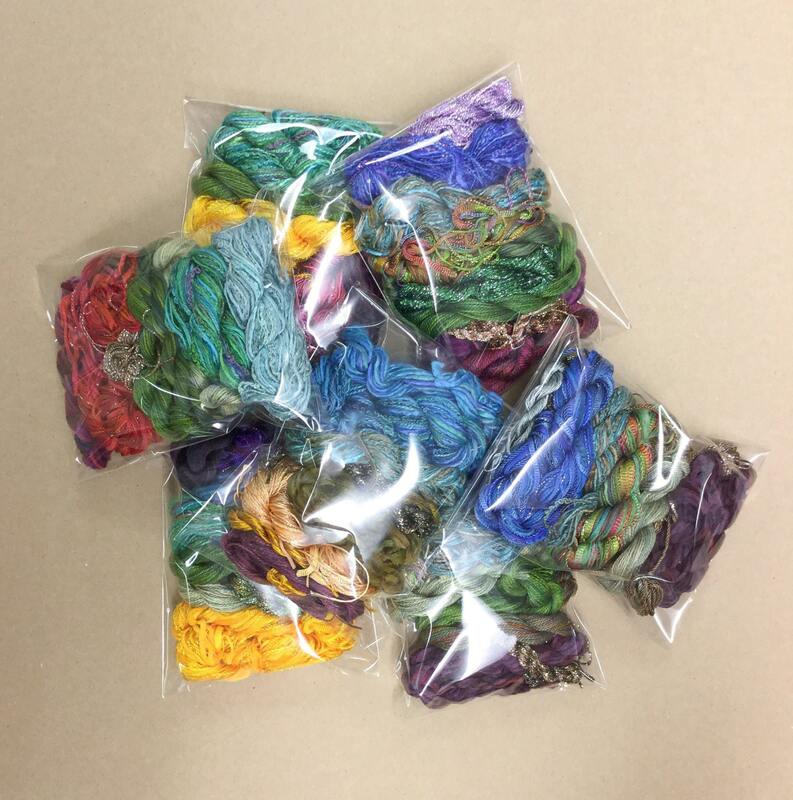 In this bag will be a selection of Hand Dyed Oliver Twists Threads for the creative minded amongst you to play with. 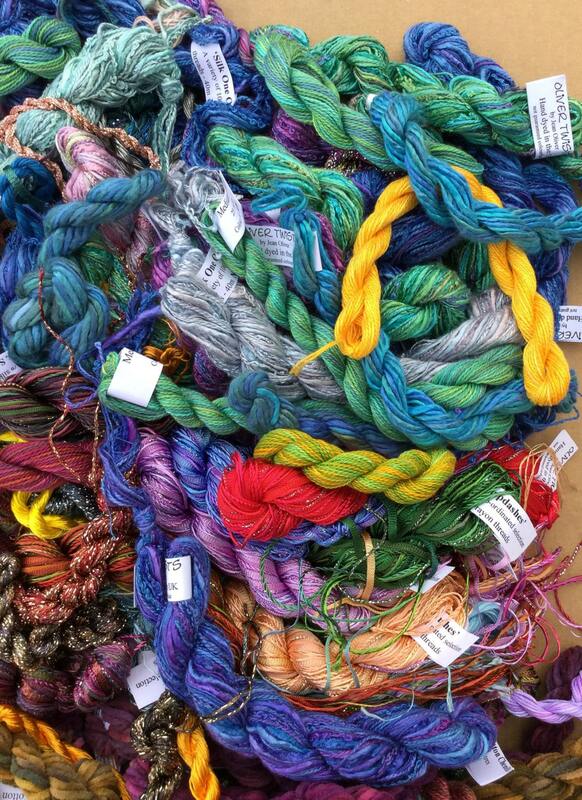 All the threads will have been dyed by us, but are lacking in someway so cannot be sold as a full price thread, but still perfectly usable for all sorts of disciplines. eg. 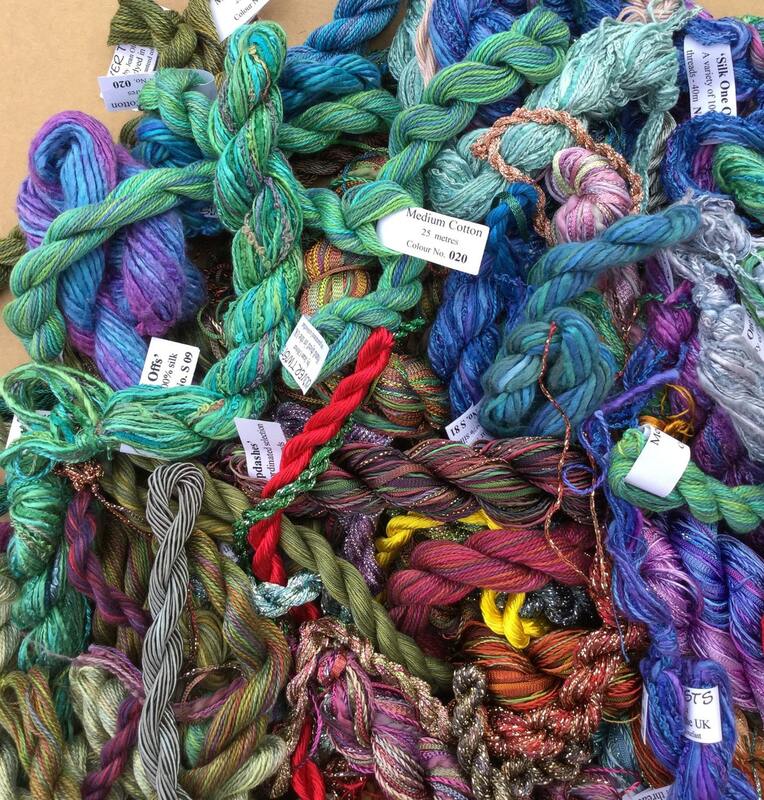 The threads will be short of the metreage they are supposed to be, not quite the right colour for our repeatable range, short of a thread in a mixed selection, too many threads in a mixed selection, end of lines etc. etc. 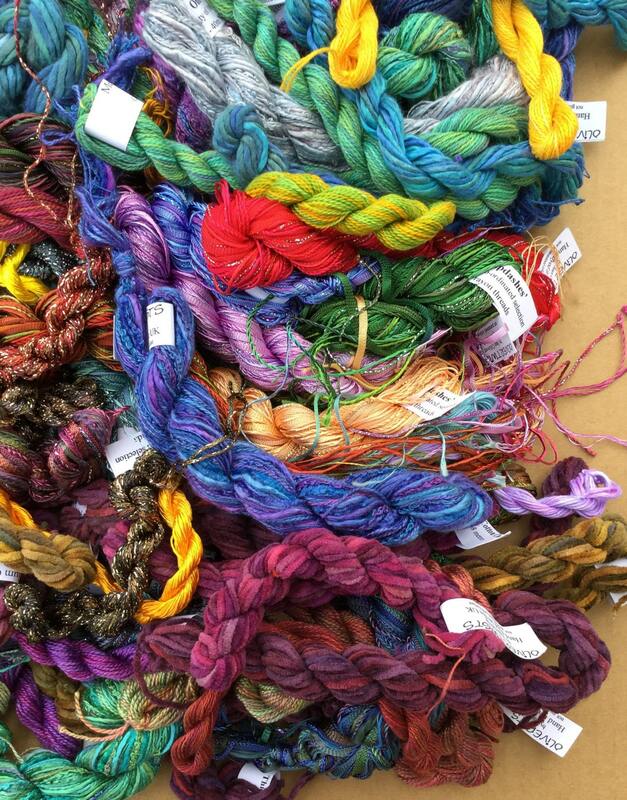 The thread selection will be Cotton, Silk or Viscose or a mixture of any of these and be totally random, but generally there will be 50g (1.8oz) of threads in the pack. 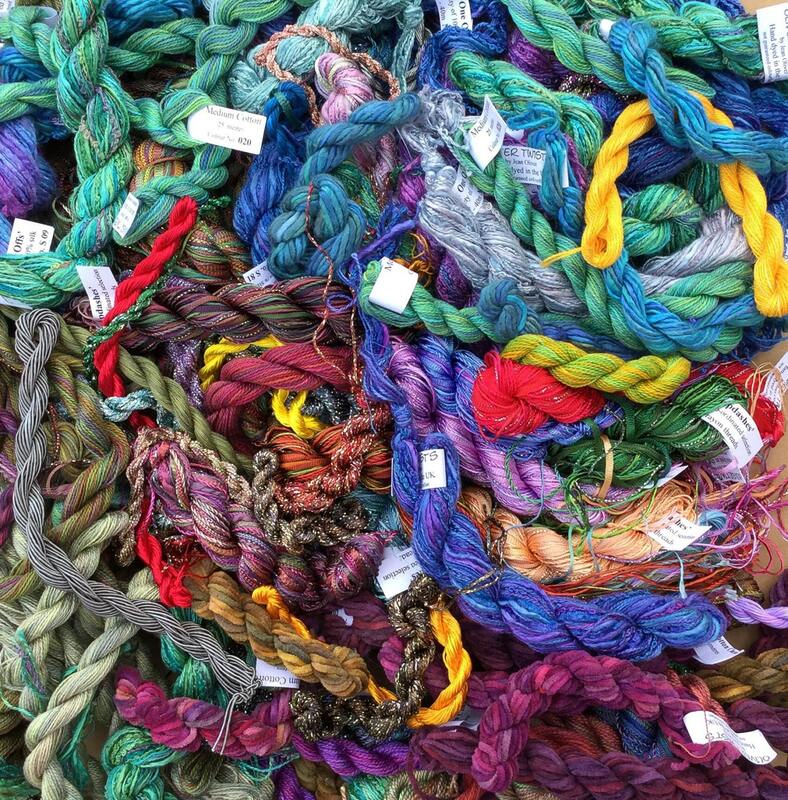 To give you some idea of the quantity you will receive - A One Off weighs 14g (0.5oz) A silk One Off weighs 10g (0.3oz). The photographs are representative of a large thread selection from which we will choose your Pot Luck Pack. The last photograph shows examples of the kind of pack you might receive.